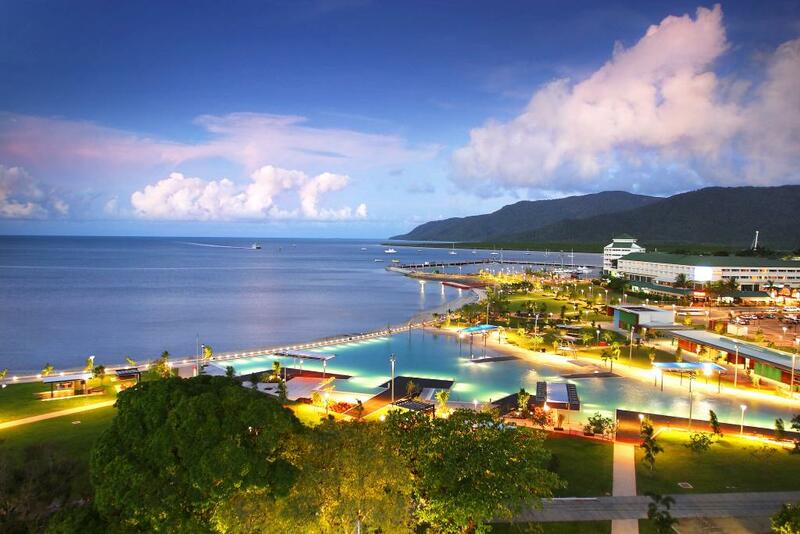 Located along the waterfront of the Coral Sea in the heart of Cairns, the Cairns Esplanade and Lagoon is a scenic 2.5km expanse of foreshore managed by the Cairns Regional Council and free for the public to enjoy. 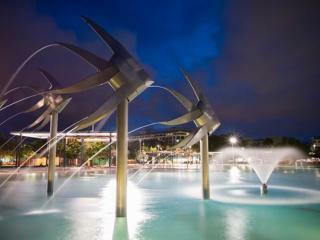 A popular spot with locals and visitors alike, the Cairns Esplanade is home to parklands, playgrounds and recreational facilities as well as spectacular, safe swimming destination of the lagoon. 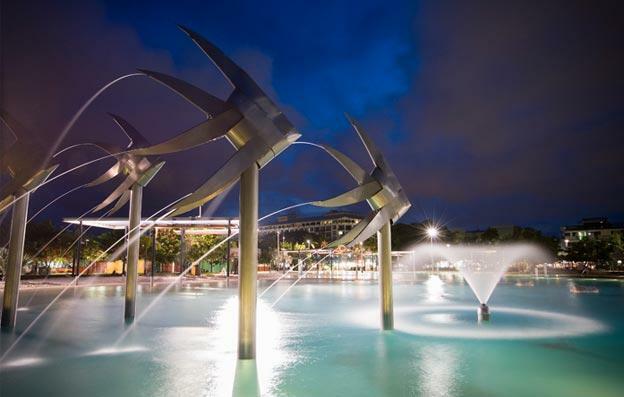 Home to a rich and enduring history, the Cairns Esplanade is dotted with monuments and memorials that highlight historically significant people or events along the foreshore including the locally culturally and historically significant site of the Cairns Cenotaph and Memorial. There is also the 1976 Catalina Memorial for 11 and 20 RAAF Squadrons, the US Army Small Ships Memorial at the water’s end of Memorial Walk, the Merchant Navy Memorial recognising Australia’s serving WWII commerical shipping crews, a granite Olympic Torch Monument commemorating the 1956 relay run and the Anchor Memorial, dedicated to early mariners and created from a locally salvaged anchor for the Cairns Centenary. Along the Cairns Esplanade you’ll find a great range of public facilities to enjoy including playgrounds to entertain and encourage activity with kids along the beautiful foreshore, 2.5km of scattered parklands, free public BBQs which are cleaned daily, toilets, showers and change room facilities all along the foreshore and, of course, the famous Cairns Lagoon. A safe swimming area, the Cairns Lagoon is open year round from 6am to 9pm Thursday to Tuesday and 12noon to 9pm Wednesday. The Cairns Lagoon is free for the public to enjoy and offers wheelchair access, toilet and shower facilities in an amenities block beside the lagoon and life guards on duty during lagoon opening hours. A popular swimming spot for locals and visitors alike, the Cairns Lagoon is a 4800swm salt water swimming hole safe from stingers, crocodiles and other potential hazards. 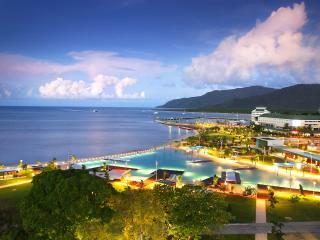 Filled with salt water from Trinity Inlet, the water is filtered through state-of-the-art filtration and offers the atmosphere of swimming at the beach without the dangers that can be characteristic of Cairns throughout certain times of the year.